Get your brighter, whiter smile with teeth whitening, for more information please fill out our enquiry form. If you are looking for professional teeth whitening in Harley Street, Marylebone that offers stunning and long lasting results, then our expert team of cosmetic dentists can help. Our smiles are important to us and we all know that first impressions count. Teeth whitening, under the supervision of experienced dentists such as our Harley Street team, is now one of our most popular and successful cosmetic dental procedures for very good reason. Time and time again our patients are thrilled with the results of their new, brighter smiles. Teeth whitening at home gives fantastic results and is a great alternative to in-surgery whitening and you will still get the same level of support and consultation from our Harley Street clinic. Patients who used teeth whitening at home experienced more consistent and reliable results alongside less sensitivity to chemicals. Teeth whitening at home is the perfect solution for clients who have tea, coffee, red wine or smoking stains on their teeth. It can be useful for those who wish to lighten their teeth and gain confidence in their smile; to reverse the ageing and colouring effect or if they are born with congenitally dark teeth due to a variety of medical conditions. Following the right consultation at our clinic, many of our patients use teeth whitening at home before big occasions such as wedding days or interviews, when looking their best is imperative. Our expert team at 75 Harley Street Dental Practice are all qualified USA and British dentists and are committed to offering the very best in professional teeth whitening. Dr Mehran Sanei is an expert teeth whitening dentist but his qualifications and experience go far beyond simple cosmetic dentistry such as professional teeth whitening. Dr Sanei is recognised by both the American Dental Association and the British General Dental Council as a specialist in prosthodontics (the replacement and restoration of lost or damaged teeth) and gives lectures on a range of cosmetic dentistry and dental implant topics including professional teeth whitening. Dr Sanei currently practises cosmetic dentistry at both our Harley Street, London clinic and at Dental Perfection in Hampstead. Professional teeth whitening is available at both of our London practices. Dr Sanei has all of the qualifications you might look for when seeking a teeth whitening dentist in Harley Street, London. He graduated in 1992 from Glasgow Dental Hospital, followed by two years of hospital training in Maxillo-Facial surgery. Dr Sanei then entered a private practice in the City of London and soon after completed a three-year post graduate Masters Degree in Prosthodontics. Jamie qualified with a Bachelor of Oral Hygiene from the University of Queensland in Australia in 2006. She is fully qualified to perform professional teeth whitening procedures and other dental therapies. Jamie has presented many lectures to teeth whitening dentists at Australian Universities and professional dental organisations. Jamie works alongside Dr Sanei at our clinic in Harley Street, London. Although this procedure is called ‘teeth whitening at home’, during your initial appointment at our clinic our consultants will explain to you that the ultimate goal is to achieve the optimum level of natural whiteness for your looks and complexion. It is important to note that teeth whitening at home is designed to whiten the natural tooth structure. Veneers, crowns and bridges and any unaesthetic fillings will require separate treatment at our Harley Street clinic although this might not be necessary. Teeth whitening at home gives excellent and easy to achieve results but the length of time that your brighter smile lasts will be dependent on your lifestyle. The results from teeth whitening at home can be affected by tea, coffee, red wine or smoking. However, by attending regular hygiene appointments at our Harley Street clinic and practising good hygiene maintenance at home, you can help your new smile to stay white for up to two years. The great news about teeth whitening at home is that, once you have received your teeth whitening kit from our practice, you can ‘top-up’ your white smile whenever you want. Only a very small percentage of patients report any sensitivity during teeth whitening at home procedures. A few patients experience cold sensitivity following the treatment but taking regular analgesia can usually relieve this and symptoms generally subside within 24 hours, after which you can continue the whitening treatment to achieve your dream result. During your initial teeth whitening appointment at our London Harley Street clinic, our qualified consultants will discuss your medical and dental history and expectations and examine your mouth for existing restorations, cavities, leaking or cracked fillings, gum recession, gum disease, dental/gum infection and staining. Our Harley Street consultants will be happy to answer any questions you might have about the procedure. Before you can apply the solutions required for effective teeth whitening at home, our Harley Street consultants will take an impression of your mouth and create a set of custom-fitted trays, designed specifically for your mouth. 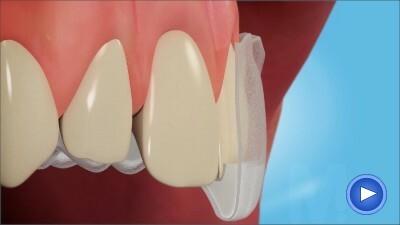 They will also show you how to fill the trays, fit them over your teeth and explain the guidelines related to use and timing. Trays for teeth whitening at home can be worn for multiple hours or overnight and are more comfortable and easy to use than you might imagine. If you have any concerns at all about using the gels or trays required for teeth whitening at home, our Harley Street consultants will be happy to help. Following your treatment, we can offer you a review appointment at our clinic during which we will discuss your teeth whitening at home results and any further treatment that might enhance your smile. How does teeth whitening at home work? Click to watch the video below to help understand the process. Teeth whitening at home is safe as long as it is overseen by a qualified dental specialist such as our team of consultants at our London Harley Street clinic. Be wary of beauty salons that offer teeth whitening and DIY home whitening kits. Teeth whitening should always be performed under the supervision of a qualified teeth whitening dentist and DIY kits, including teeth whitening strips, can cause patchy results and leave your teeth and gums damaged and sensitive. By far the most effective and safe way to improve the colour of your teeth is to choose professional teeth whitening at home under the careful administration of our Harley Street team. When you are considering professional teeth whitening, even with a Harley Street dentist it is important to review the qualifications and experience of individual dentists. Any dentist who is registered with the General Dental Council, the UK’s dental regulator, can carry out professional teeth whitening treatments but it is important to first ascertain their level of specific experience as a teeth whitening dentist. If you are considering professional teeth whitening, you won’t be disappointed with the expertise and support that our dental team at 75 Harley Street, Marylebone offer. If however you ever feel the need to check the credentials of a professional teeth whitening dentist, or any other GDC registered dentist, you can do so by visiting the General Dental Council website.